MC Mix brings the unparalleled audio mixing speed, resolution and DAW integration of Euphonix's high-end professional consoles to the personal studio. 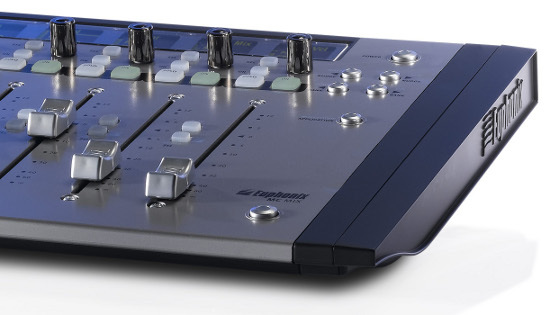 The faders and rotary encoders enable fast access to pan, EQ and plug-ins with clear metering and info displays. Add MC Control and/or extra MC Mix units for larger systems. MC Mix offers a host of power features to speed up and enhance your creativity with any DAW that supports EuCon, HUI or Mackie Control protocols. 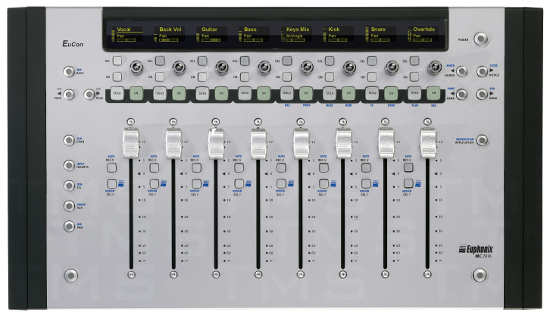 MC Mix can work on its own, or be expanded with up to three additional MC Mix units and/or an MC Control. Effortlessly switch between multiple applications and workstations at the touch of a button - the faders and high-resolution OLED displays and other controls instantly snap to the selected application to put multi-format metering, plug-in parameters, EQ curves and much more at your fingertips. Most importantly, software developers like Apple, Steinberg, MOTU and others have worked closely to integrate native support for Euphonix' EuCon control protocol into their DAWs to deliver an unmatched editing and mixing experience.